Here are the nine worst things you can do to your skin. We've all heard and read about the horrible things you can do to your skin. In fact, we sometimes commit a few skincare sins of our own. But do you know how bad they actually are? 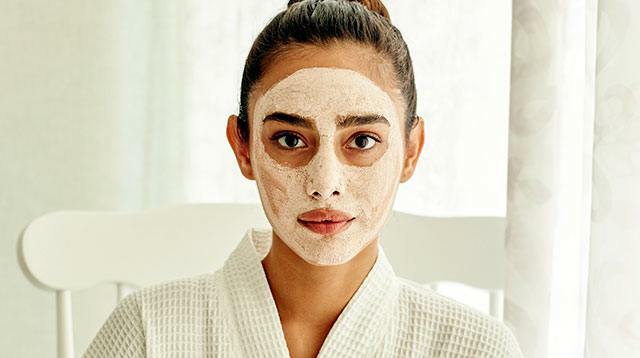 While you may have mastered what to avoid and what not to do if you want to have great skin, we decided to list the most common damaging behaviors to help you figure out how you can improve your routine and get on the path to clear skin. How many times have you heard the sentence, "Always wear sunscreen"? Unprotected sun exposure damages your skin over time, resulting in pigmentation and premature aging, and increasing your risk of getting skin cancer. Make it a point to always use sunscreen—the next time you do your A.M. routine, don't forget to add this step in. After neglecting to protect your skin from UV rays, the second greatest skincare sin is not drinking enough water. To maintain that healthy glow in your complexion, you're going to have to keep it hydrated. And if you keep drinking sugary drinks, well, that'll only cause more dryness. We suggest adding pieces of fruit, such as lemon or apple slices, to spice it up and give your body more nutrients. YUM. We know work, and life, in general, can be mind-numbingly stressful; but there's no need to reach for that little stick to relax yourself. Cigarettes contain nicotine, which prevents blood and oxygen from reaching the skin, leading to wrinkles and premature aging (yikes!). Do you really want to go to bed with all the dirt, bacteria, oil, and pollution your face accumulated from the day? We didn't think so. Even if you're exhausted, always take the time to AT LEAST remove every bit of your makeup. You won't regret it, promise! If you feel like there are never enough hours in the day to get your tasks done, you're not alone. But that doesn't mean you should sacrifice sleep either. When you sleep for at least seven or eight hours every night, your skin is able to repair itself—and when you don't get enough of it, it shows in your skin through dullness, dryness, and loss of elasticity. It may feel relaxing, especially after a long day, but taking too many hot showers can dry out your skin. A LOT. Steamy showers strip your skin of essential moisture, leaving it red, patchy, and flaky. What's worse, it can also aggravate other skin conditions like eczema and rosacea. Our advice: Go for lukewarm showers so it's warm enough that you can relax, without completely ruining your skin. Whenever you think your pimple is ready to be popped, just leave it. Let it do its own thing so you won't be left with an irritated spot, even more acne, or worse, a scar. If you want to speed up the process, use something with salicylic acid to gently exfoliate the dead skin cells and unclog your pores. While drinking isn't exactly a terrible thing to do, doing it regularly and in large quantities is. Alcohol dehydrates your skin, robs it of vitamin A, and has anti-inflammatory properties—which explains why when you're hungover, your face is swollen. Plus, when you're drunk AF, you forget to remove your makeup, leading to a whole new skincare sin. We, too, are paranoid that our pores are harboring more bacteria than we think. But there's no need to overdo it when it comes to exfoliating and cleansing. As long as you diligently do your skincare routine and use a mask or exfoliator up to two times a week, you should have no problems at all.